When I started writing for Trying To Conceive, I was juggling a baby and a toddler and hoping to have another one very soon. Passionate about everything from using cervical mucus to find out when you’re really fertile (it works!!!) and natural childbirth to baby carriers and breastfeeding, I was tremendously excited to share the world in which I had landed — the new mom world — with women who were just about to walk that path. My miscarriages and fertility were just behind me. I felt so incredibly blessed to be the mother of not one, but two sweet kiddos. It was a blessing I didn’t take for granted. Though I was committed to spending the unique phase of early childhood with my children, I also missed the intellectual challenge one can only find at work with other adults. Sharing my blog posts with readers here gave me an outlet I really enjoyed, and that could also help other people. Time has passed now, and I find myself in other waters along with many friends. Because I’m getting older, and I have some medical issues, and my other half is pretty sure he doesn’t want any more babies (sob! ), my no-longer-baby kids will probably be IT for me, childbearing-wise. From this perspective, my views have changed. Some things that didn’t matter much back then matter more now, and others that were all-important then are irrelevant now. No matter how many kids you will end up having, you’ll also inevitably end up in that post-having babies stage of your life. 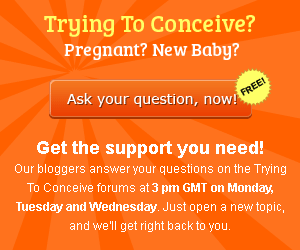 Are you trying to conceive your first now, or have you recently become a mother? Id like to show you how I feel about the roller coaster of trying to conceive, being pregnant, and mothering young babies a few years down the line (my babies are eight and six years old now). Both my babies cried, but especially the second. There were moments at which I just needed that to stop, and yet it didn’t. I was so happy when my husband was at home for a long period of time (he travels for work rather a bit), so I could sleep instead of walking around with the baby. I remember feeling isolated from the rest of the world, wishing with great vigour that some of my childless friends would invite me to have a coffee or lunch, to talk about dating and work and stuff. I remember being anxious when my babies had a fever, and especially when my daughter fell off the bed (I had no idea she could turn over by herself) and I was convinced something was wrong with her brain. I remember having to carry a heavy and overpriced travel system up many stairs because the lift was broken, and being utterly exhausted when I finally reached the top floor on which we lived. (Husband bought me a baby carrier after that!) I remember stress over potty training, and delayed speech, and grandmas complaining I didnt put socks on my babies in summer. I also remember the unique baby-head smell, the breastfeeding, the snuggles, the first smiles, the snuggles, the private moments with those babies late at night when everyone else was asleep, and the tiny little clothes. It was wonderful. All of it. Even the stuff that caused me stress back then. Before I became a mom, I enjoyed a good dose of politics. That didnt prepare me for the radical feelings so many moms have about so many issues, from how someone gives birth, to whether they breastfeed or bottle feed, whether they enroll their babies in reading programs, and whether they stay at home or go to work. Those things mattered, because I needed to be Sure I made the Right Choice. Whether I did or not, my kids arent just alive but also thriving now. So are the kids of moms who made completely different choices. In some cases, friendships were lost over vaccinations vs no vaccinations and other stupid stuff like that. The bottom line is that if youre making choices that are right for your family, knowing all the pros and cons and sometimes not even that, everything is dandy. Your infant care practices matter nothing to anyone outside of your own family. Dont lose sleep over that. On a similar note, what others you know and dont know (online!) do with their babies is none of your business. Unless they are doing something truly abusive. Hint: Formula feeding is not abusive. It does. Youll be stuck with a hopefully wonderful adolescent soon. Remember that baby-head smell. And those kicks you get from inside your uterus. And the crying. And the simplicity of it all. That one speaks for itself, doesnt it? I did lose myself a bit. I forgot about all the things I really enjoyed, including clean hair and make-up, but also reading Hegel and visiting art exhibitions. Dont do that if you can help it. Yes, taking a hiatus is pretty much inevitable unless youre wealthy and have a live-in nanny, but dont forget about the things you really enjoy. Yes, that may also include all-night wine-fueled conversations with your significant other. Those are important. I remember a point at which I sincerely believed everything that went wrong was my fault or I could impact everything. Among the most embarrassing was a time at which my cat peed in my baby’s stroller and I only noticed after we left the house with the baby in the stroller. OK. That one may have been my fault. Don’t judge, pregnant women. Something like that WILL happen to you too. I fault it was my fault my firstborn wouldn’t potty train easily, that my second kids teeth turned out weirdly, that my kids fought with each other and pulled each others hair, and that they preferred chocolate to organic green smoothies. Most of these things are just normal, and you’ll find a way to deal with them. Nurture, loving and guiding your kids, is extremely important. When they do that annoying thing your husband or mom always does, its probably nature though, something that is just as important. Reading to your baby in utero wont make them love Tolstoy, so if they don’t want to tackle that in High School, its probably not because you didn’t do this. In a big way, kids are just who they are regardless of what you personally do or don’t do.